Which Ring Goes on First? Your Wedding or Engagement Ring? The answer is… it depends on your style! 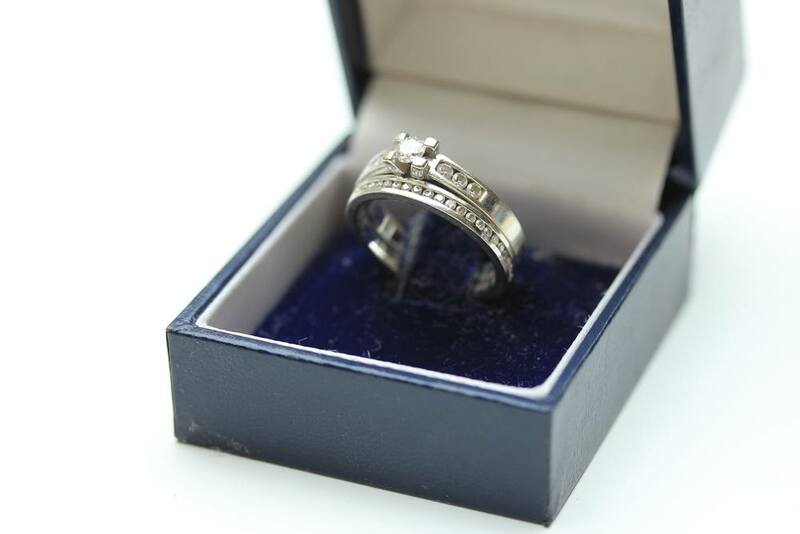 According to traditional, the wedding band should go on first, with the engagement ring stacked on top. Even etiquette experts agree that the way to wear a wedding set is by placing the wedding band on the bottom. However, while there may be a “proper” way to wear your rings, the choice is ultimately up to you! 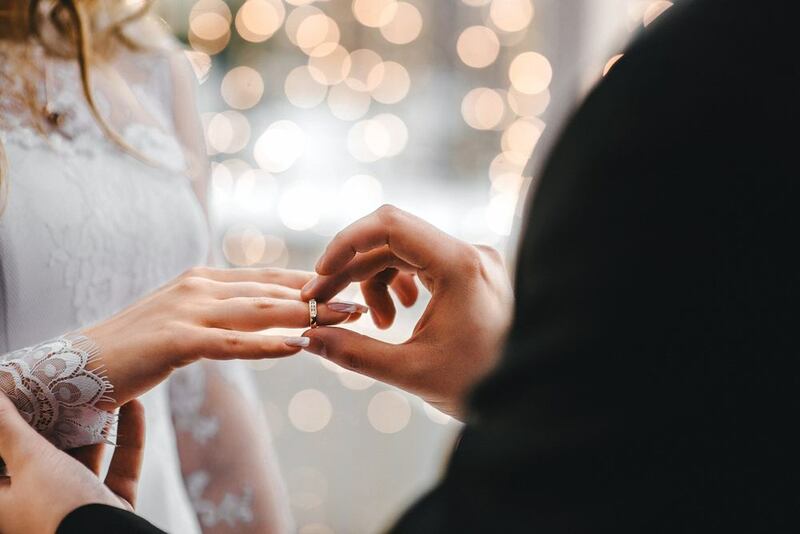 When preparing to exchange wedding vows, brides often leave their left hand bare to make sliding on the wedding band easier during the ceremony. The engagement ring is typically worn on the right hand and moved back to the left hand after the ceremony. Some brides, however, have an engagement ring that has been designed to pair with multiple rings. Many solitaire diamond rings can be paired with a wedding band as well as with other sentimental rings—like a promise ring. How a bride wears her ring may depend on the design and style of her engagement ring. As a marriage turns into years together, sometimes the engagement ring is kept tucked away for safekeeping. Many women choose to wear only their wedding band for a simple styling. Others move their engagement ring to their right hand for certain occasions and stack other rings atop their wedding band. Reese Witherspoon’s unique diamond engagement ring from husband Jim Toth is stacked with multiple bands that match her diamond wedding band. Couples may choose to honor milestone anniversaries with additional rings stacked to create a stunning statement set. 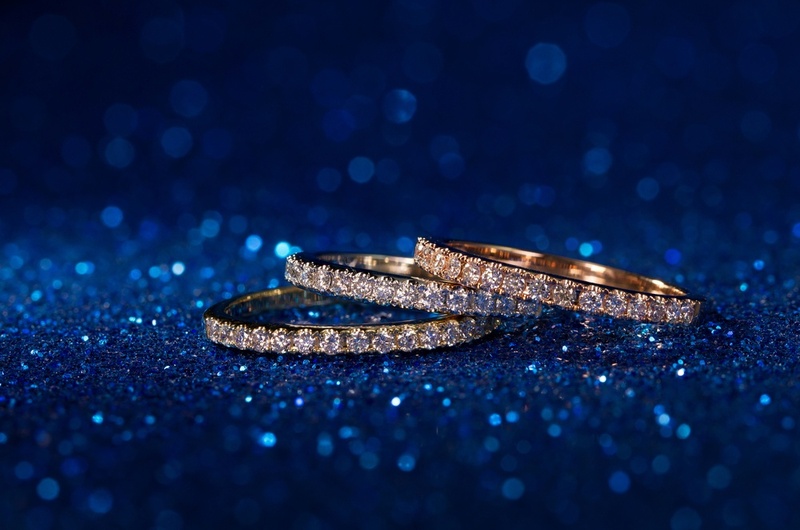 While some brides choose to add more rings to their set for a stackable style, others choose to bond their wedding band and engagement ring together to create one ring. This is called soldering. This trend is quite popular with brides who purchase their engagement and wedding bands as a matching set. The benefit of soldering is that the rings don’t turn around in different directions, as they would if they were worn stacked but separate. The downside of soldering is that brides no longer have the option of wearing either band separately, so consider how committed you are to this particular ring arrangement before making the commitment. An engagement ring can double as a wedding band. There is no rule that dictates that a bride must have both an engagement and a wedding ring. Many brides choose to wear only one ring. Some brides wear an anniversary band in place of a wedding band. Which Ring Goes On First? Tradition once dictated the order regarding which ring goes on first… and it was always the wedding band. Etiquette still nods to this tradition, but brides don’t have to follow this guideline. Whether you wear the band on top or on bottom doesn’t change the ring’s meaning and symbolism. Style your wedding set in a way that reflects your comfort and personal preference. There is no wrong way to display your love or your vows.